Leading trade unionists from the port cities of Portsmouth, home to some of the UK’s historic naval dockyards, and Piraeus in Greece are backing the campaign in solidarity with the Alexandria Shipyard workers in the run up to their military court hearing on 18 September. 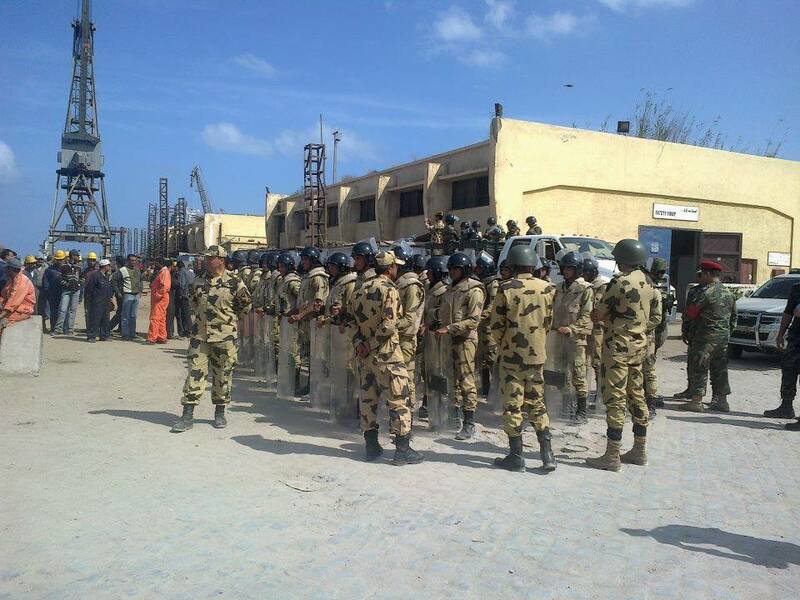 A group of 26 workers from the Shipyard have been put on trial in a military court by Egypt’s generals for demanding better pay and conditions at work. Trade unionists and activists from South Korea, Greece, the UK and USA will be spreading word about the case on social media on 16 September. Meanwhile in Greece, Antonis Dalakogeorgos, president of the Greek Seamen’s Union (PENEN) and Yannis Tsalimoglou, member of the steering committee, Piraeus Dockers Union among twenty leading trade unionists who have announced their support for the international solidarity campaing for the Alexandria Shipyard workers. The appeal for solidarity by Egyptian trade unionists has been translated into Greek and circulated widely among the Greek trade unions. Those backing the solidarity campaign include Nasos Bratsos, member of the General Council, Federation of Journalists Unions, Zanneta Lysikatou, member of the general Council, Federation of Hospital Doctors, (OENGE), Spyros Revithis, president of the Athens Metro workers Union and Grigoris Kalomoiris, member of the executive committee, National Confederation of Civil Service (ADEDY) (See the full list of Greek signatories below). Take part in the international day of social media action for the Alexandria Shipyard workers on 16 September. Sign up for the Thunderclap here.